England Unveils New 10-Pound Note Featuring Jane Austen : The Two-Way The note, which will enter circulation in September, was revealed on the 200th anniversary of Austen's death. The Governor of the Bank of England, Mark Carney, poses at Winchester Cathedral in England on Tuesday, with the new 10-pound note featuring the image of Jane Austen. 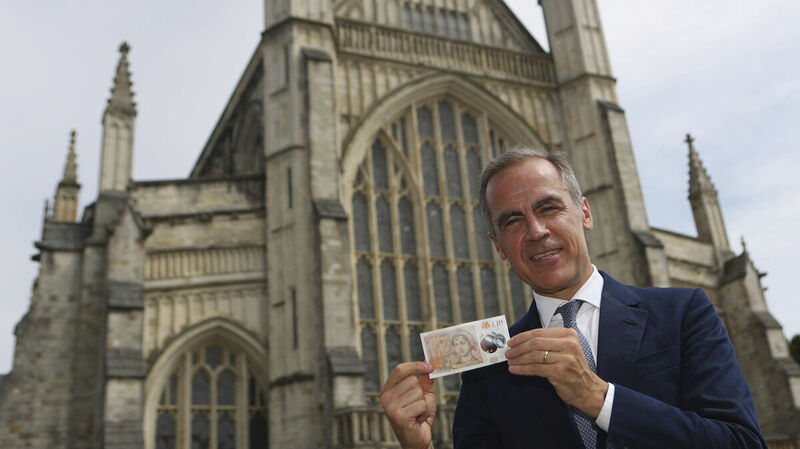 Two hundred years to the day since Jane Austen was laid to rest at Winchester's grand cathedral, the bank unveiled a new 10-pound note featuring the beloved author. 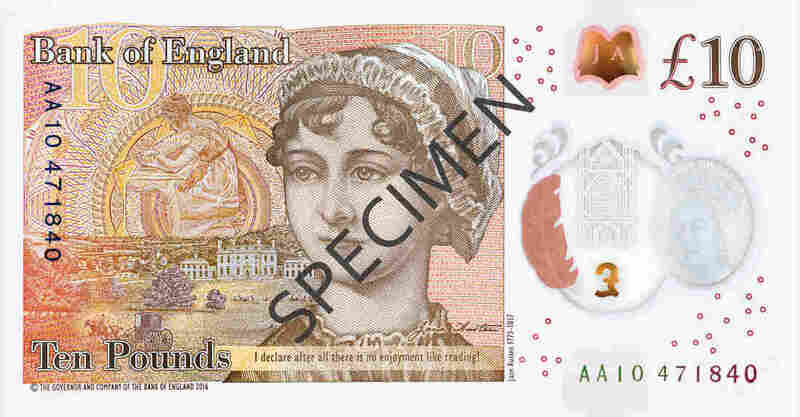 On the 200th anniversary of Jane Austen's death, the Bank of England has unveiled a new banknote featuring the beloved author. The new notes, made of polymer, will be entering circulation in September. "The £10 note will be made of the same material as the £5 note, which means it also contains some traces of animal fat - an issue which caused concern for vegans and some religious groups when it was launched last September. "A petition to ban the note attracted more than 100,000 signatures but the new £10 will again contain some tallow, which is derived from meat products." "The historian and television presenter Lucy Worsley, who has recently published a book about the Pride and Prejudice author, said: 'Jane Austen fans are pleased, obviously, that she's going to appear on the banknote, but it's deeply ironic that the image chosen by the Bank of England isn't really her.
" 'Jane had a much sharper face — some might call it sour." Like the new five-pound bill, the Austen tenner includes anti-counterfeiting features and is noteworthy for its resiliency: The bills are expected to last 2.5 times longer than their paper counterparts. A polymer 20-pound note, featuring J.M.W. Turner, is planned for 2020.